Current events are being arranged to catapult Pope Francis into a position of supreme power over all the world. Probation will close very, very soon. The final movements are even now taking place. But multitudes do not recognize the significance of what is happening right before their very eyes. 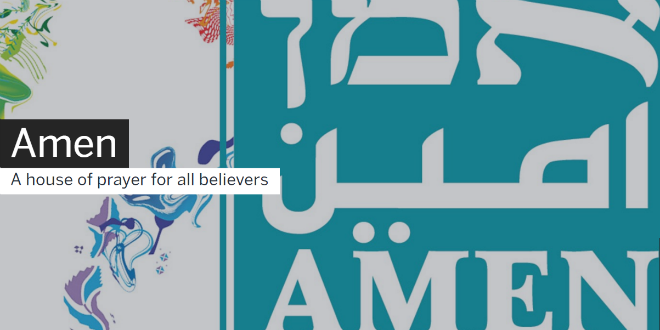 "Amen—A House Of Prayer For All Believers" is part of the 2016 Mekudeshet Festival. It is being put on by the Jerusalem Season of Culture. Representatives from the three religions will present a series of lectures. Attendees will also be given the opportunity to pray together during the day in Coptic, Hebrew and Arabic. What is being consecrated? Well, for the world’s three largest, monotheistic religions to be uniting for a consecration would suggest that what they are consecrating, setting apart and declaring holy is their new, ecumenical union: an intra-faith religion, if you will, united on points that all hold in common. This stated reason for the interfaith gathering is very portentous. For over 50 years, the Vatican has been the chief proponent of the ecumenical movement. Former Jesuit, Malachi Martin, wrote books and gave interviews in which he warned that a one-world religion was being set up. He claimed that Luciferians had infiltrated the Vatican itself and were planning to set up a new religion that was to last for 1,000 years. The ecumenical movement that began at Vatican II will culminate when this pope, the first Jesuit pope in history, will be exalted to head up the new, one world religion. The religious world has long been too divided to accept a single leader at its head. In order to become the moral/religious leader of the world, Pope Francis must break down the traditional, philosophical, and doctrinal barriers that divide Jews, Christians, and Muslims. These are the main religions with whom he must unite. The eastern religions are not as critical to his plans since their doctrines make them more accepting of differing beliefs, unlike the sectarian Abrahamic religions. Francis has worked very hard during his short pontificate to achieve this unity. He began in 2016, with a video developed by the Pope’s Worldwide Prayer Network. In it, he swept aside the many and vast differences in doctrine, and focused solely on the handful of beliefs differing religions hold in common. It was a blatant call to ignore doctrinal differences and unify. Pope Francis calls for unity and dialogue between differing religions. Following is a timeline of Pope Francis’s ecumenical activities in 2016. January: In 2015, the Vatican signed a peace treaty with the state of Palestine. (Why is the pope signing legal documents?) During this meeting, the pope informed Mahmoud Abbas that he was a sort of “angel of peace.” This act left Jews feeling uneasy. 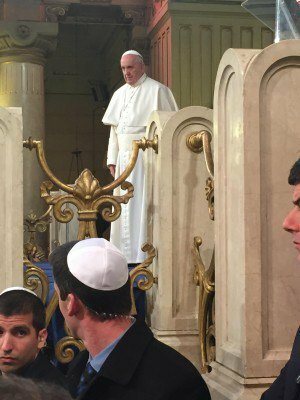 In an attempt to strengthen papal ties with worldwide Jewry, Pope Francis visited Rome’s Great Synagogue in January of 2016. The only other popes to ever visit the synagogue were Francis’s immediate predecessors, Pope Benedict XVI in 2010, and Pope John Paul II in 1986. Immediately following his meeting with the pope, Patriarch Kirill traveled to Antarctica where he held a religious service at the Holy Trinity Russian Orthodox Church. Some sources suggest that Kirill received “an ancient secret manuscript” from the pope pertaining to the “Ark of Gabriel” and which, legend asserts, was written by the “watchers” mentioned in the Book of Enoch. If this is indeed the case, as is claimed, one can only wonder at any possible connection this might have to the expected soon appearance of demons, impersonating aliens, under the first woe. 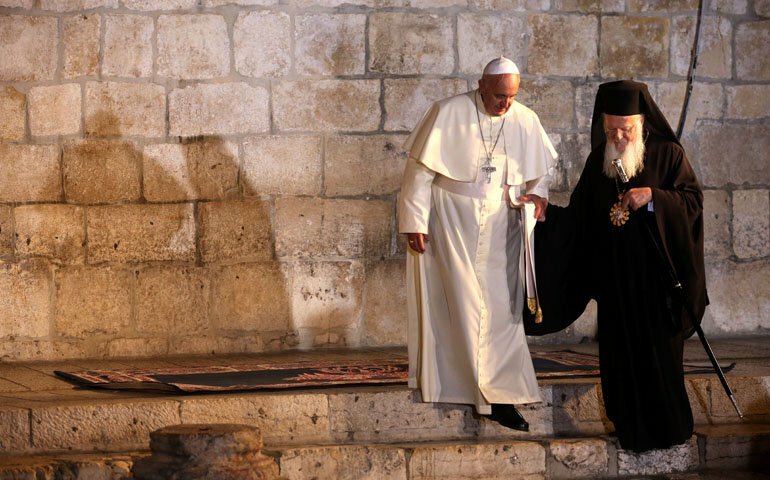 April: Pope Francis traveled to Greece with Patriarch Bartholomew I of the Eastern Orthodox Church. While there, both leaders united in calling for an end to violence and for more Muslim immigrants to be welcomed into Europe. While his remarks were meant to encourage Poland to open its borders to the many immigrants flooding Europe from the Middle East, it also carries an underlying ecumenical message: set aside old differences to become united as one. 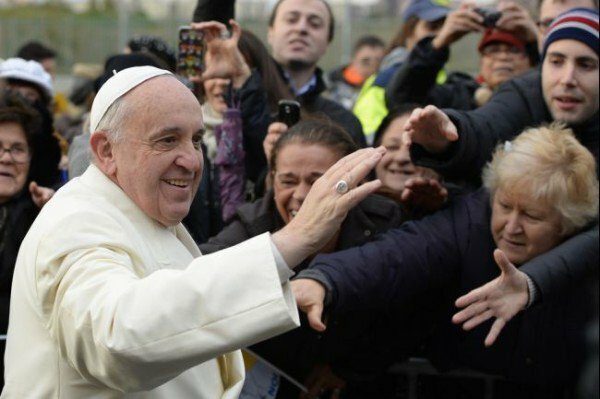 The pope issued a personal invitation to youth to attend Together 2016. 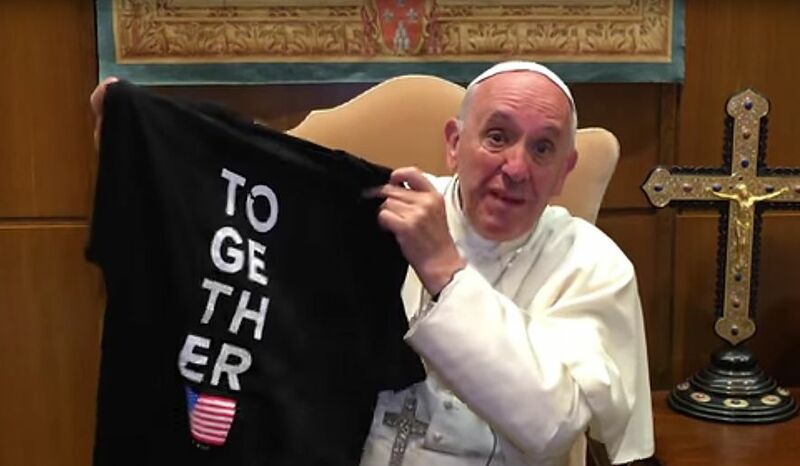 Pope Francis shows a Together 2016 t-shirt during his videoed invitation to youth. This sounds good. Who would not want to participate in such an endeavor? However, a closer look reveals a darker agenda. The event was held in front of the Washington Monument, the world’s tallest obelisk. This is significant. Obelisks are phallic symbols of Osiris. A symbol used throughout Together 2016 was that of the ouroboros, the serpent eating it’s own tail. Such a symbol is an odd choice to represent an ostensibly Christian gathering. 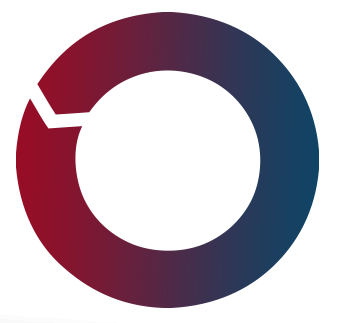 The ouroboros was featured prominently on promotional images, banners and even the stage. However, when the symbols are understood, the reason it was selected reveals a dangerous meaning. The ouroboros is an occult symbol. Like the obelisk, the ouroboros is associated with Osiris. It indicates the end of an eon. Occultists believe that eons typically end with a cataclysmic event that “resets” time into a new age. A “reset” is precisely what the RESET Movement was aiming for with the Together 2016 Conference. The combination of the ouroboros used with an obelisk reveals that Osiris is expected to come and inhabit his Temple at the beginning of the new age. It is this “new age” that the pope is working toward and for which he has stepped up his ecumenical outreach to other religions. This signifies how soon the pope will be exalted to lead the new, one world religion. In fact, the word “one” was used repeatedly throughout the event, in songs as well as in a prerecorded speech given by the pope. His efforts to unify the world’s religions are coming to fruition. In addition to reaching out to the heads of various other religions, Pope Francis has also invited Muslims to come to Catholic cathedrals and unite with them in worship. Contrary to how this may appear, the intent is not to proselytize. Rather, he has invited Muslims into Catholic churches to worship Allah! The purpose of this endeavor is to unite Christians and Muslims in worship. The pope is not looking to convert non-Catholics to Catholicism. If he tried this, people would be alarmed. Pastors, rabbis and imams would warn their followers of the pope’s design. Instead, his move is more subtle. He wants to unite the three Abrahamic religions under the umbrella of monotheism. This put him in the perfect position to step into the role of world religious leader when the earth is threatened with alien invasion during the first woe. What is Francis doing and why is he doing it? Simply put, the pope is getting ready to become the leader of the new, unified world religion. No pope can be instantly promoted to such a level, leap-frogging over every other religious head on earth. He must first present himself as the world’s foremost unifier of religions before he can assume that position. The pope’s push for unification of the Abrahamic religions is a necessary prerequisite to being exalted still further. The prophecies of Daniel in the eleventh and twelfth chapters were fulfilled to the very letter. The world has been in the “time of the end” since 1798 and suffering under the “time of trouble” since 1922. The pope's efforts to unify the world are not limited to religions alone. He has gone on record as stating that the perception of atheists as evil people is wrong: “Atheists are good people simply because they do good.” Furthermore, he said the church had become obsessed with the issues of gay marriage, abortion and contraception. These facts reveal that probation will be closing very soon. Prior to that time, the seven trumpets of Revelation 8 and 9 will sound, announcing to all the end of the world. Under the fifth trumpet, also known as the first woe, demons in the guise of extraterrestrials will invade earth. It will be a logical choice, at that time, to ask Pope Francis to represent earth in negotiations with the “aliens.” By showing non-judgmental acceptance of everyone from gays to non-Christians, he will be the logical choice to broker a peace treaty with the aliens threatening life on earth. The final stage in the exaltation of the man of sin will be but to promote him one step higher to preside over the new, one world religion. This is all part of Satan’s final delusion when he will appear, pretending to be Yahushua. However, the idea that the pope is the best choice to represent earth must be planted now. His ecumenical drive, embracing all religions under one loving, accepting umbrella, is accomplishing this right now! The invasion of these demons/aliens is imminent. All that is left is to establish the pope in the minds of the people as the logical choice to be mankind’s representative. And that is what is happening. Now is the time to get ready. Now is the time to make your calling and election sure. The invasion, followed by the promotion of the pope to lead the one world religion, is the goal Satan has been working toward for millennia. With his right hand man ruling over all religions, Satan can have the pope enforce a false day of worship over the entire earth. There is no time to waste. But fear not. Yahuwah will not close probation before everyone has had the chance to make an intelligent choice. What shall we then say to these things? If Yah be for us, who can be against us? He that spared not his own Son, but delivered him up for us all, how shall he not with him also freely give us all things? Your part is to come without delay. Accept by faith the promised salvation. Then live by faith in your Redeemer. 1 Statement from a press release, quoted at http://www.breakingisraelnews.com/73887/jerusalem-interfaith-event-bring-together-leaders-abrahamic-faiths/#3fZkVJxH3orMRt1q.97. 3 Noah Webster, American Dictionary of the English Language, 1828. 7 Joint Declaration of Pope Francis and Patriarch Kirill of Moscow and All Russia, http://en.radiovaticana.va/news/2016/02/12/joint_declaration_of_pope_francis_and_patriarch_kirill/1208117, emphasis supplied.